As far as the vacuum head brush, the felt gets just damp after initiating the vacuum but the dust is left behind. This is dramatically reduced by using the felt brush before the whole cleaning cycle. It means less times I need to remove the vacuum head and wipe/clean it. I'm not quote clear on this bit quoted above. Can you clarify? To clean off loose dirt. This helps to keep larger debris out of the vacuum felt head. You say the felt gets damp on the vacuum head, but the dust left behind - you mean on the record, or that it builds up on the vacuum head? Would the carbon fiber brush sweep help with this? My preference is Mofi brushes. To satisfy OCD I use one for scrub and one for rinse. 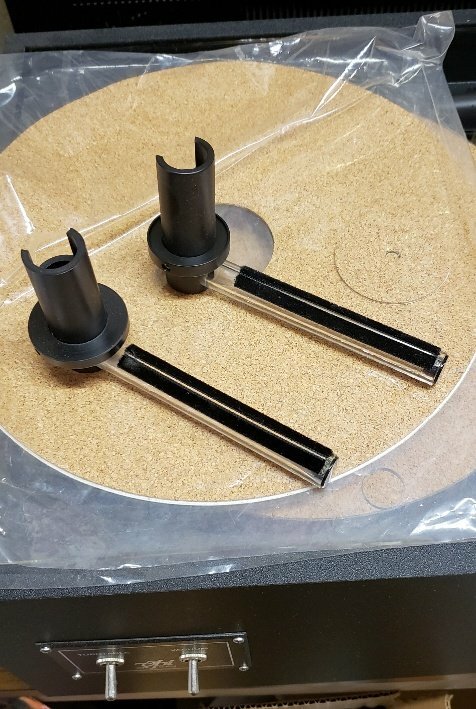 I also have a couple different vacuum wands for wash vacuum and rinse vacuum. I swap the cork mat for the cleaned side of LP. I use Mofi sleeves. Before play I do a carbon fiber brush before dropping the needle. I avoid Cheetos and pizza rolls when handling records. I use a Tergitol/distilled mix to clean, distilled to rinse. I'll steam nasty ones, but you gotta be careful and keep moving with the steam or you'll warp the record. Steam won't fix a damaged record though, but it helps moisten and dislodge dried, stuck on biological whatever. Stanton makes a convex brush with holder. I got this with a purchase but never used it. 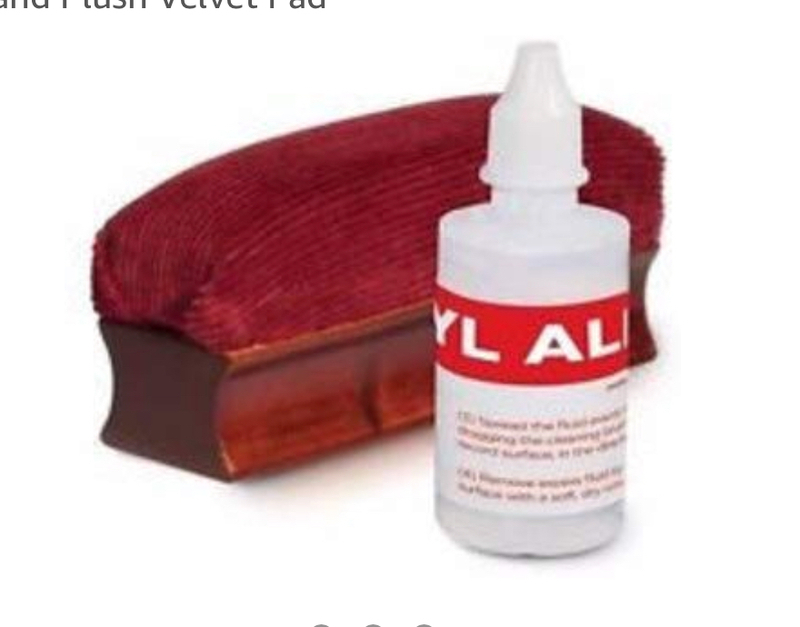 Unsure if they offer replacement pads like the Mofi's do. It helps to reduce build up on the vacuum head. 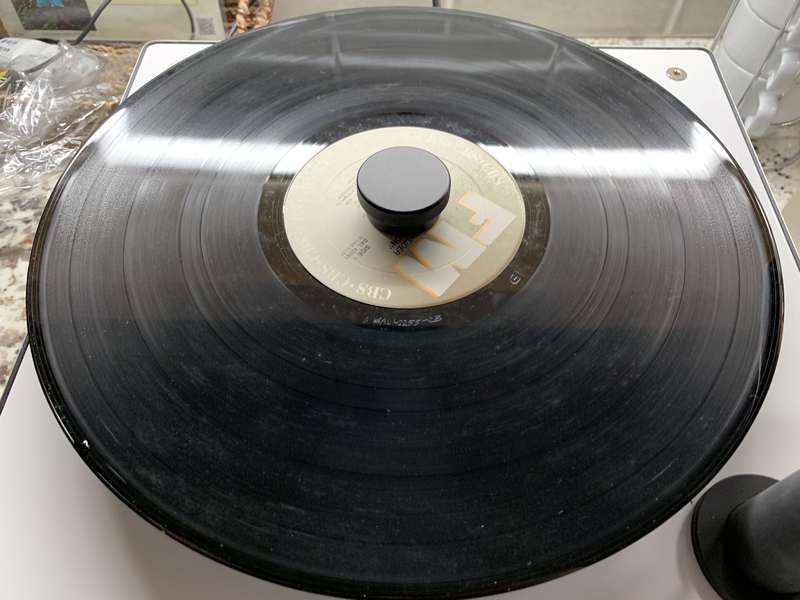 Otherwise if you take a really dirty record, all the dust and dirt goes on the felt of the vacuum head. I avoid Cheetos and pizza rolls when handling records. Lol. I avoid them at all times. Awful tasting things. That's good stuff right there! Thanks for sharing the knowledge Rich! My preference is Mofi brushes. To satisfy OCD I use one for scrub and one for rinse. To satisfy Rich's OCD I also use one Mofi brush to wash, the other to rinse. This thread just reminds me why I don't want to get into vinyl. I still have my first turntable installed in a home made upright audio cabinet I built out of solid Clear Fir wood. In fact, I just showed it to one of my old friends yesterday. I still have every record I bought or ordered from Columbia house records mail order club. Actually, the financial obligation is what scares me most at this point. I know what it would cost me to feel like I'm playing at the level I should be and that is... insurmountable at this point. Sweet jebus, how much are you talking about? That's a heck of a starter system! 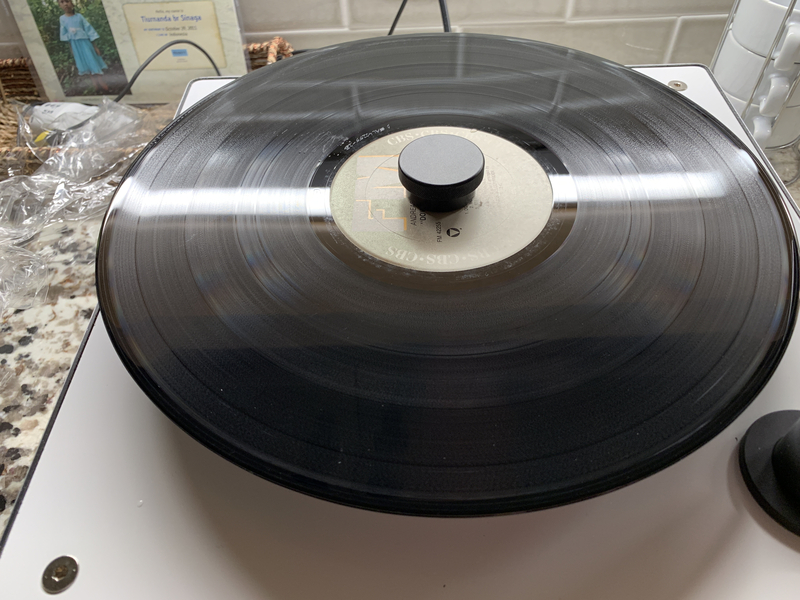 Why not grab a preowned/vintage Technics in decent shape (@mhardy6647 can make a suggestion or may even have a suitable candidate amongst his collection), a Schiit Mani, and a Nagaoka MP-110? That's not expen$ive but it'll sound pretty darn good for a minimum investment. 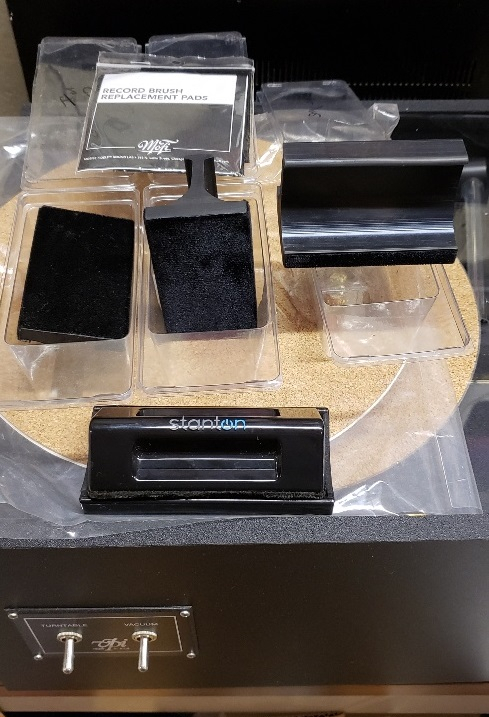 Ya, you'll need something to clean the records (you can start with a Spin Clean), store the records (Mofi sleeves), a brush to wipe the records before play (Hunt EDA), and a stylus cleaner for before and after play (Mr. Clean Magic Eraser, or a stylus brush, or some AT liquid cleaner, or the Onzow). Still, not a huge investment to get really good quality playback for the investment and a good way for you to see if you really like it (and want to invest the time and energy on a regular basis). I know we are way off topic, but it’s my thread so fak it. 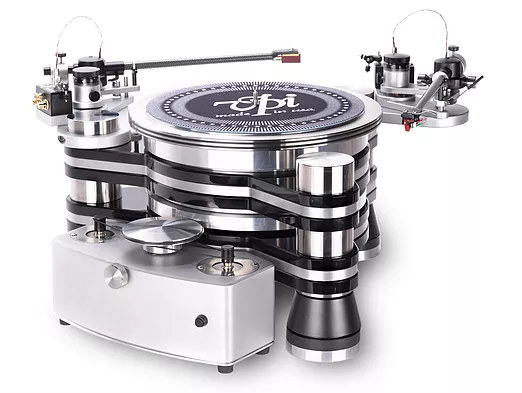 I think my perfect setup would be a VPI scout, Nagaoka mp500 and keep my CA phono pre. Just read this thread. Ugh. Cleaning records! I love vinyl, but am a bit too lazy right now! Great review and update Joe! You are leaving money (a LOT of it) on the table as a hifi dealer by not offering vinyl. The markup on cartridges alone is stupid. Local dealer here told me his margins on turntables and related stuff is much higher than on anything else in his store. Every time I heard a snap, crackle or pop at Axpona it made my skin crawl. I’ll stick with digital. Pops and clicks don’t bother me. As long as they are not embedded dust. Love me some vinyl. Best sounding format I own. There is always the Sugar Cube.